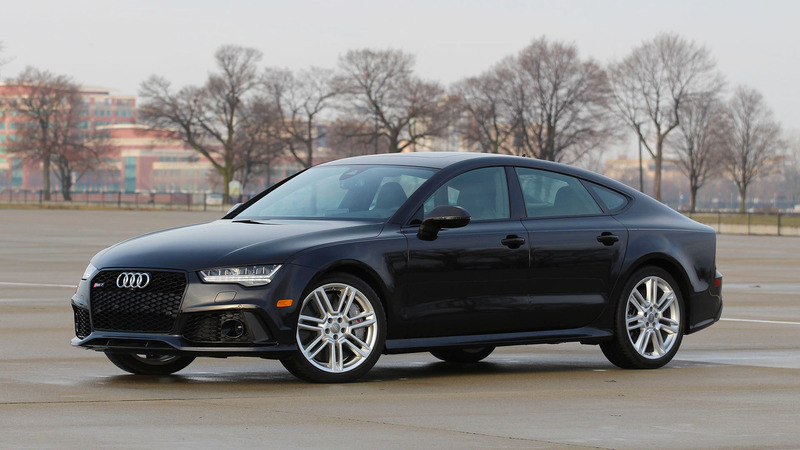 There will also be a regular RS7 with "only" 650 horsepower. The next-generation Audi A7 in its standard configuration won’t be unveiled until the end of the year, but details are already emerging about the hotter members of the Sportback family. After learning about the possibility of a diesel-powered S7 model, a new report has now emerged about the range-topping RS7 set to be offered in two different states of tune. In an interview with Evo magazine, Audi’s chief designer, Marc Lichte, revealed the flagship model of the A7 lineup is going to be launched towards the end of next year. When it will arrive, buyers will be given the opportunity to pick from a standard RS7 version and a beefier specification blessed with a punchy hybrid powertrain. While the regular RS-badged Sportback is going to get a biturbo 4.0-liter V8 engine with approximately 650 horsepower and almost 600 pound-feet (813 Newton-meters) of torque, the partially electrified RS7 will up the power ante to about 700 hp thanks to a hybrid setup derived from the Porsche Panamera Turbo S E-Hybrid. 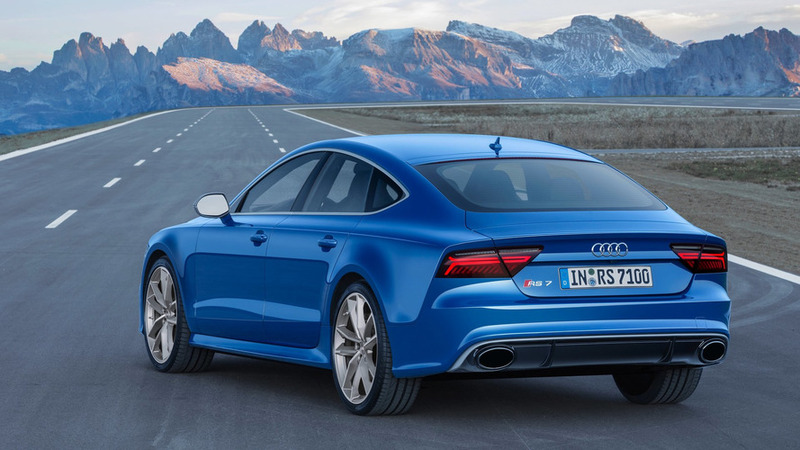 If that nice and round output number will pan out, it means the strongest RS7 of them all will actually have an extra 20 hp compared to the Porsche model from where it will inherit the hybridized powertrain. The combustion engine – a biturbo 4.0-liter V8 - is said to have about 550 hp like in the Panamera Turbo S E-Hybrid, with the remaining 150 hp to come from the electric motor. There’s no word about performances just yet, but it goes without saying it will be seriously quick considering the Porsche does 0-62 mph (0-100 kph) in 3.4 seconds and tops out at 192 mph (310 kph) when fitted with the optional Sport Chrono Package. 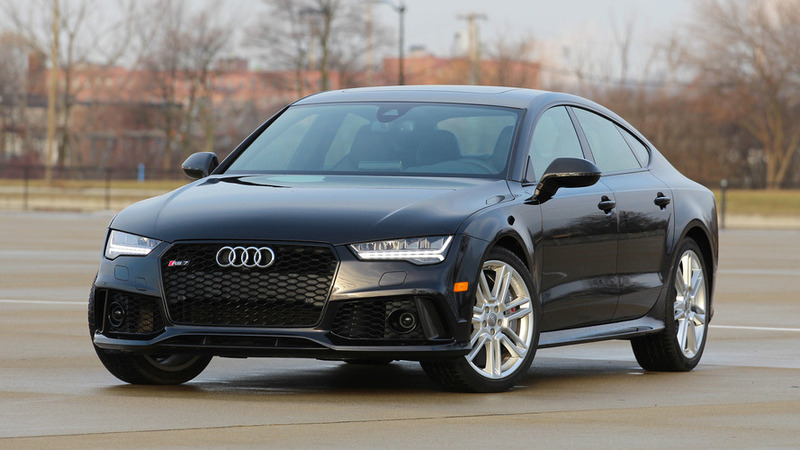 Meanwhile, expect the standard Audi A7 Sportback to debut at the Los Angeles Auto Show at the beginning of December. The S7 might be unveiled as early as March 2018 in Geneva, with the crown jewel RS7 likely slated for a debut in the second half of next year.